The results of your search are shown below. To refine your search, revise your keywords, and/or select the appropriate check boxes to the right. 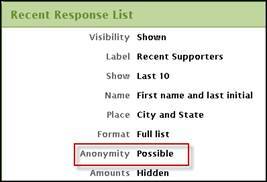 What are the steps to configure the Advocacy Center for donor advocated fundraising? How do email confirmations work when a Fundraising Online transaction is processed? How to schedule a report for automatic delivery? How do I issue a refund in Fundraising Online? Text entered in the Form Details Header field does not display on a newly created webpage. Which report will show payments and refunds? When "Send Initial Email" or "Email Confirmation" is selected the receiver does not receive the email. 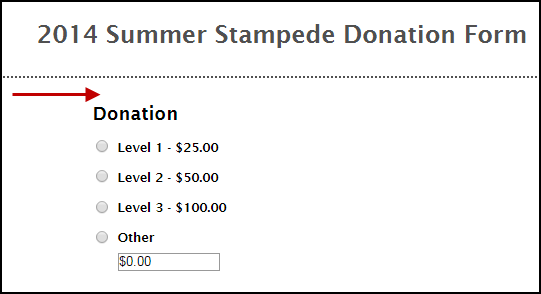 My existing webpage does not display fundraising form. Displaying an end date instead.